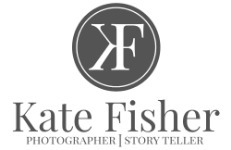 May 29, 2018 | By: Kate Fisher Photography - Cassie B.
I mentioned before about my year of firsts... this blog post is about my first 25 year Vow Renewal. What an incredible day this was! Seriously, if you were lucky enough to be there, you know what I mean. It was a precious afternoon filled with family, friends, amazing food and the surroundings that were absolute perfection! These decorations... wow! Trina had explained to me what she wanted it to look like and she and the team who put it together knocked it out of the park! It was a stunner. Trina and Kurt originally had a very small wedding but she knew that someday she wanted to have the wedding she had always dreamed of. After 25 years, some wonderful children, and even more (super) adorable grandchildren, Trina and Kurt had their day! It was stress free, the sun was shining and every one enjoyed this sweet celebration of the amazing life these two have created together. I loved photographing this event... like, really, really loved it! They treated us like family and I wouldn't have traded it for anything. Lita - It broke my heart I couldn't be there. Your fairytale came true! Truly beautiful!